At the Wembley Stadium demonstration they showed upload speeds of up to 110 Mbps and download speeds of 750 Mbps. 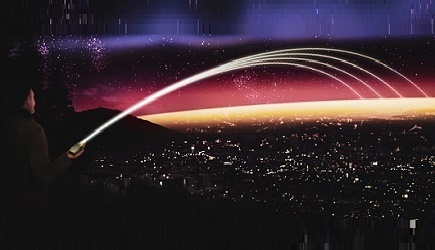 This is more than twice as fast as the UK’s fastest commercial fibre broadband offering. EE, which is part of the BT Group has started upgrading its 4G network in Cardiff and London’s Tech City, and will be rolling out to more major cities throughout 2017 and 2018. Real world speeds of 428 Mbps were demonstrated in Cardiff City Centre to mark the launch of Sony’s flagship Xperia XZ Premium smartphone. EE was the first network in the UK to support ‘Cat 9’ mobile devices, in September 2016, and is extending its network leadership by being the first to support ‘Cat 16’ mobile devices with Gigabit LTE. Announced at MWC 2017 and launched in June this year, Sony’s Xperia XZ Premium is the first Gigabit LTE enabled smartphone. Powered by Qualcomm's Snapdragon 835 Mobile Platform, the XZ Premium is also the first smartphone to feature a 4K HDR display offering intensely vivid colours and breath-taking clarity. Its Gigabit LTE performance, enabled by the Snapdragon X16 LTE modem integrated into the Snapdragon 835 Mobile Platform, allows smartphone users to stream and watch high-quality 4K HDR resolution content on their mobile for the first time. Available to stream now are select Amazon Original Series via Amazon Prime Video in 4K HDR, with more 4K HDR content coming soon. Gigabit LTE is enabled by LTE Advanced features including 4 x 4 MIMO, 3xCA (Three Carrier Aggregation) and 256-QAM higher order modulation. Gigabit LTE capability, which has been pioneered by Qualcomm Technologies is an essential pillar for the 5G mobile experience as the high-speed coverage layer that co-exists and interworks with nascent 5G networks. 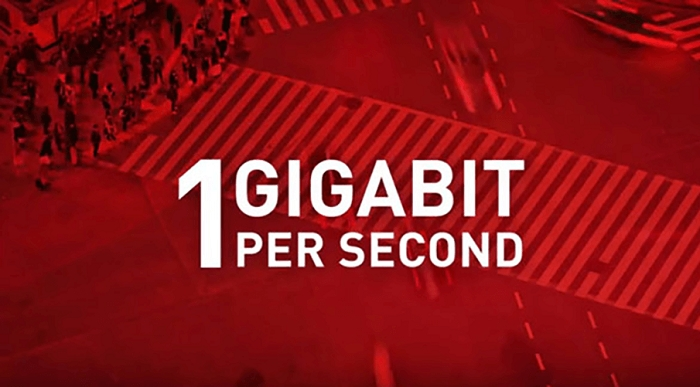 Gigabit LTE not only increases speeds but also delivers more network capacity, to benefit all users in the network, not only those users with Gigabit LTE devices. A Gigabit LTE mobile device will complete downloads and uploads significantly faster, freeing up network resources to be available for other users.